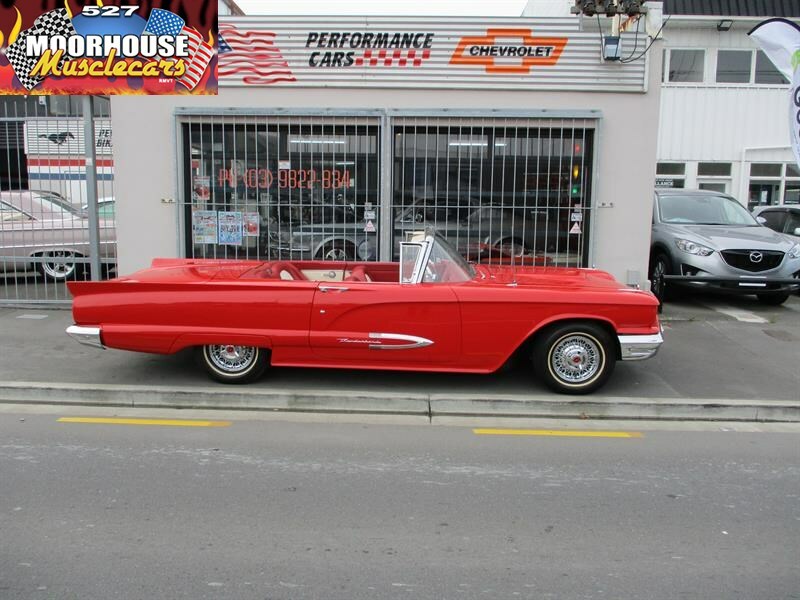 Ordered from new with the biggest engine available at the time, and for the first time, the ultra rare and desirable 430 Special cubic inch 350 Horse Power 4 Barrel J-Code V8 . 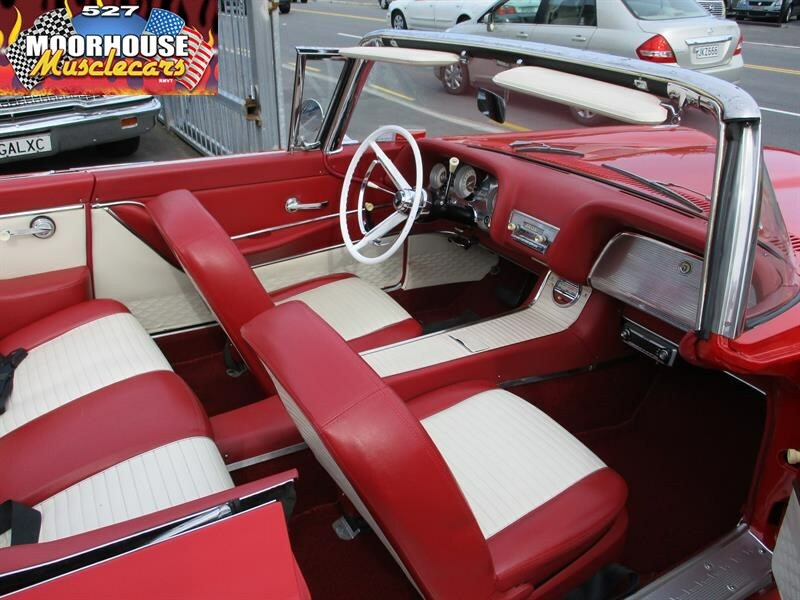 The J-Code was a very limited build option, and of the relatively low number of around 10 thousand convertibles produced this year only 1168 received the big 7.0 litre 430, making this one a pretty iconic car for the period, and a highly desirable collector car today, as very few would survive now. The photos of this car probably don't do it the justice it deserves, the body is incredible with amazing straight panels considering the size of her, and excellent panel fitment and gaps, it has then been treated to a very high quality repaint in the original Thunderbird only colour of Brandy Wine Red, and fitted with a fully restored immaculate Red on Classic white interior which is simply stunning, being complemented further by a lovely new off white top, and period Kelsey Hayes genuine wire wheels and white wall tires. 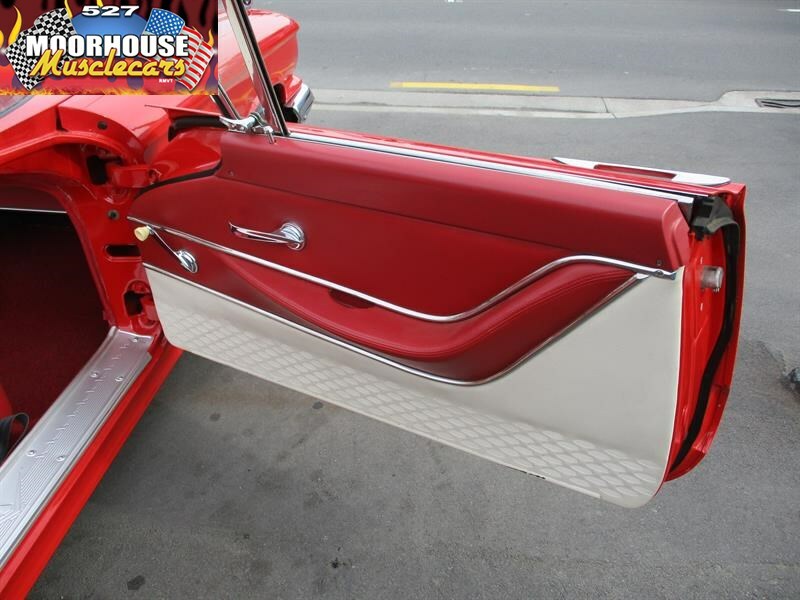 The detailed and accurate restoration was all performed on this low mileage survivor right here in NZ by respected trades people, and is simply stunning in its execution, the end result being something I'm sure all involved were very proud of. 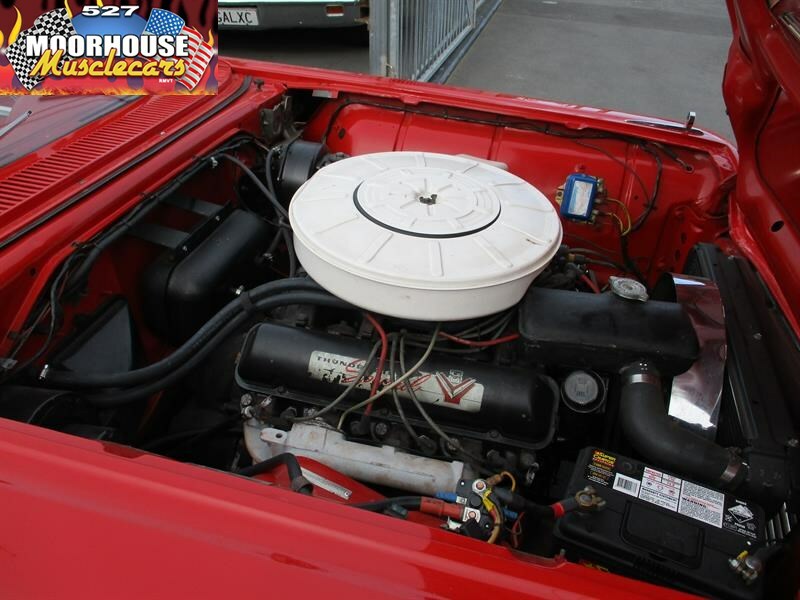 The smooth running 430 was reconditioned approximately 5000 miles ago, and ticks over beautifully shifting through to the Cruise-O-Matic automatic transmission, and then onto the substantially revised for 59 rear end set up, while Swift Sure brakes and Master Guide Power Steering were also ticked on the options list to make this one a real pleasure to drive. 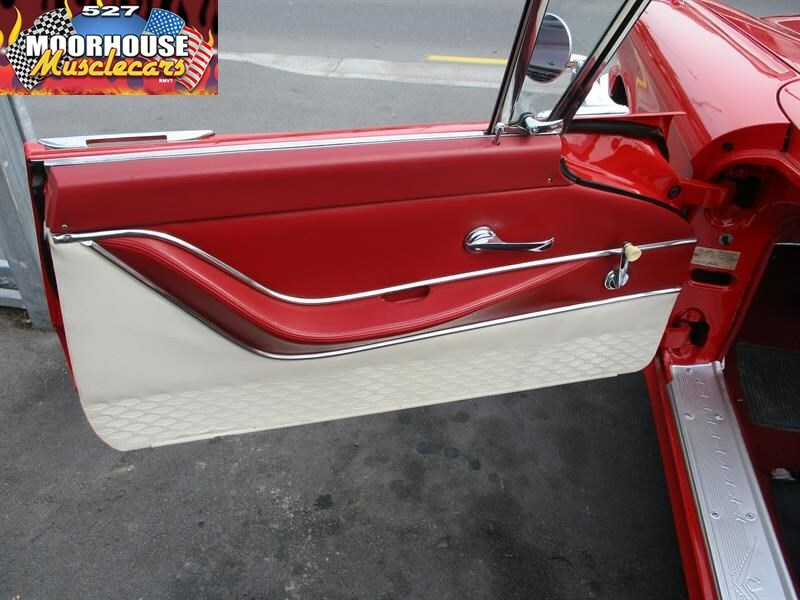 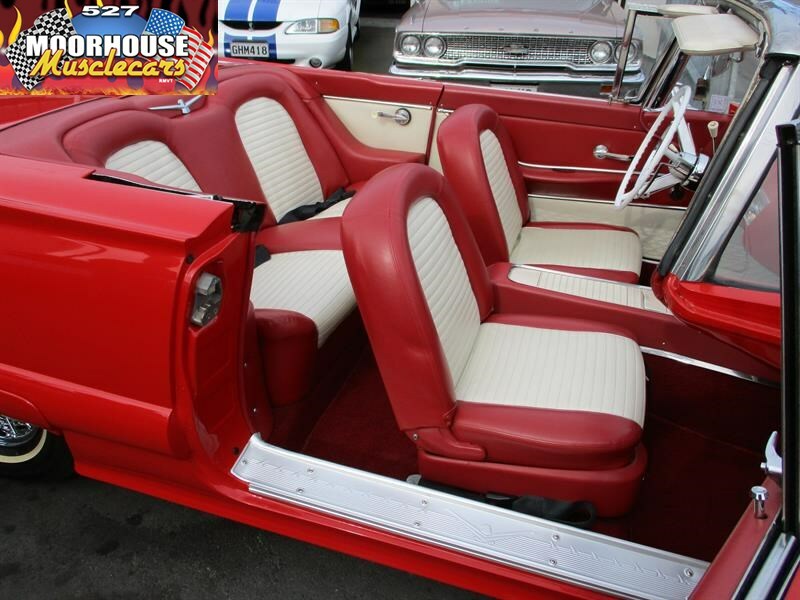 Fully refurbished chrome and trim sparkles on this delightful example, and everything is in place and as it should be. 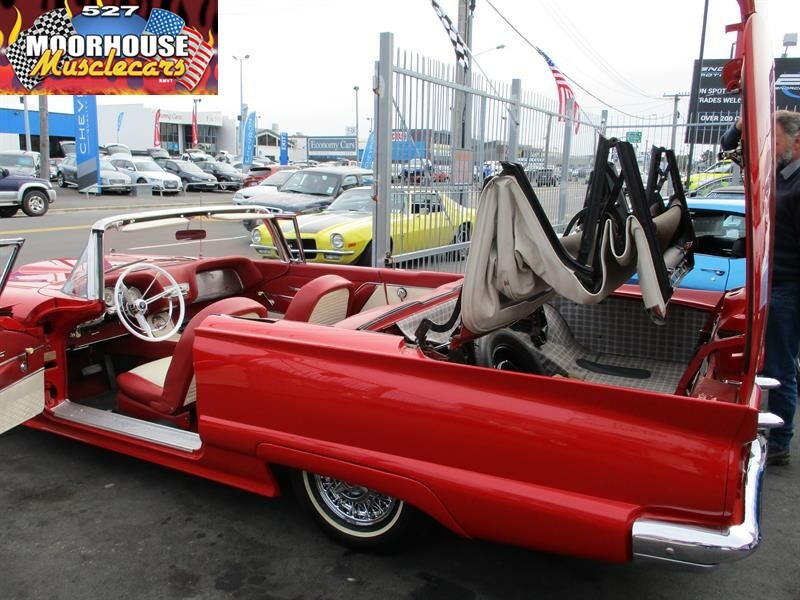 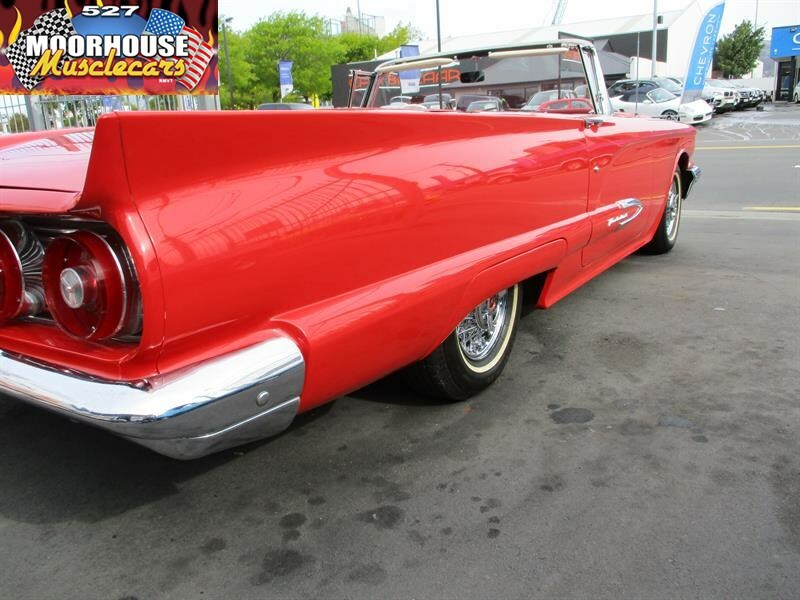 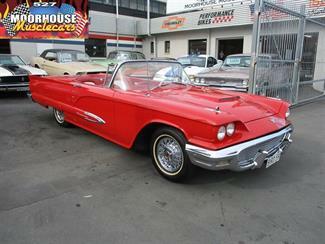 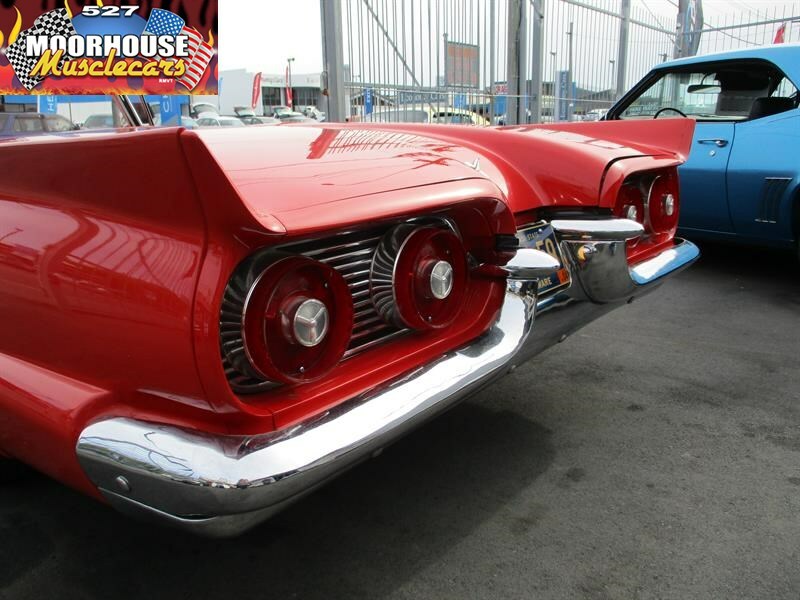 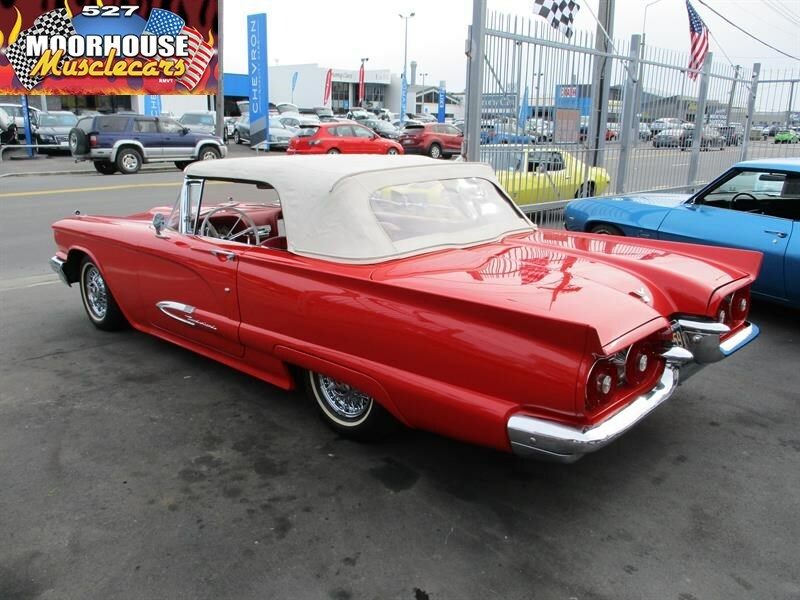 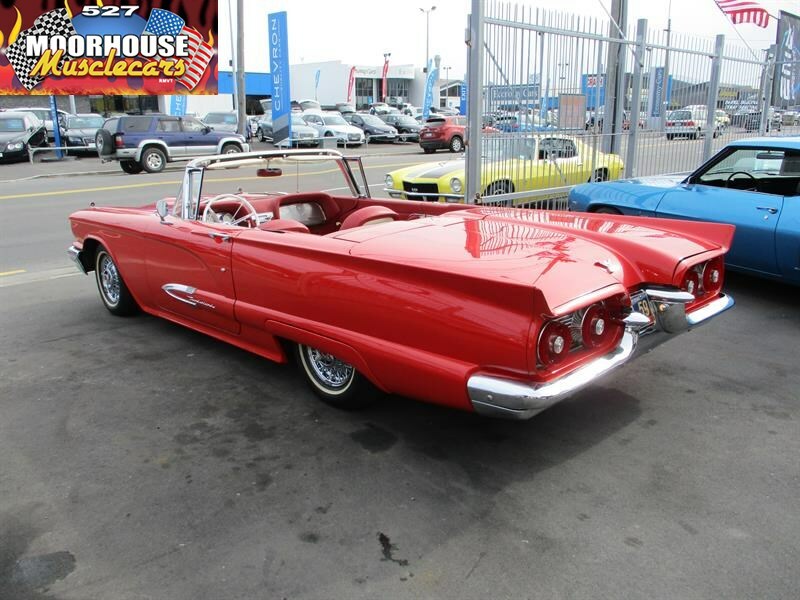 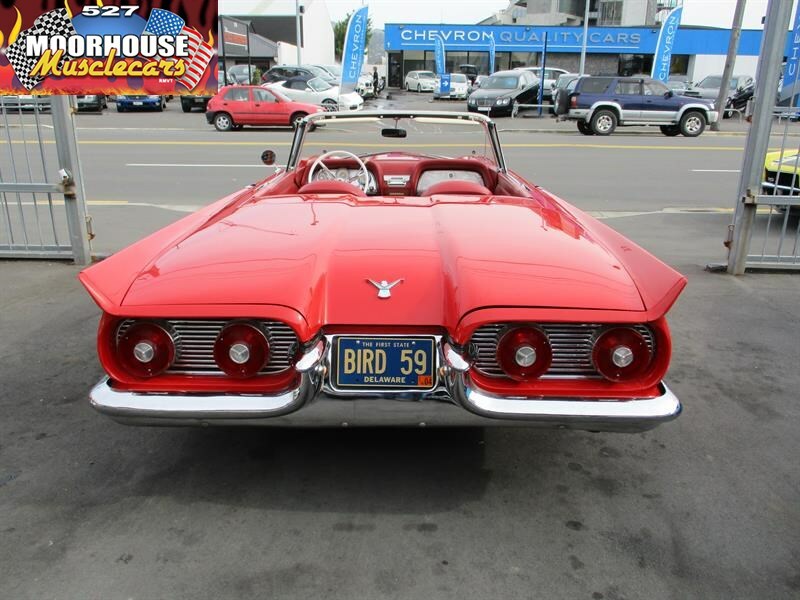 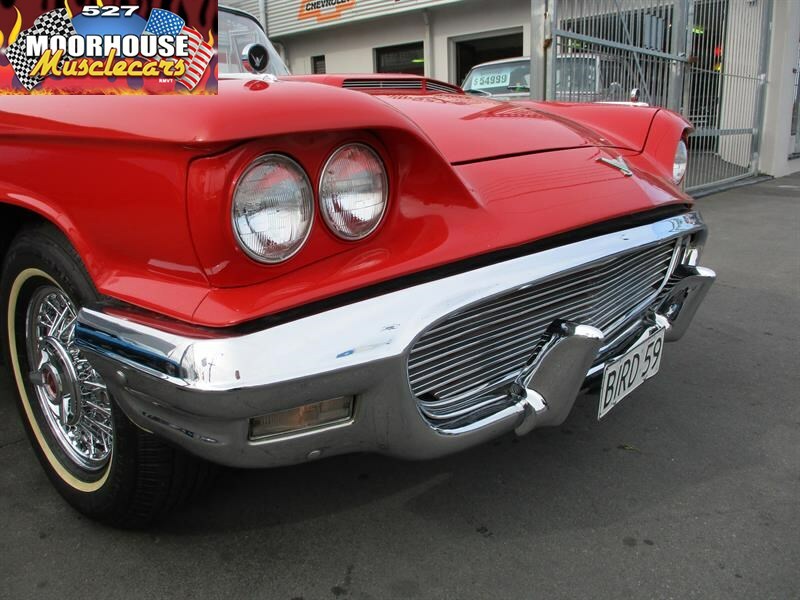 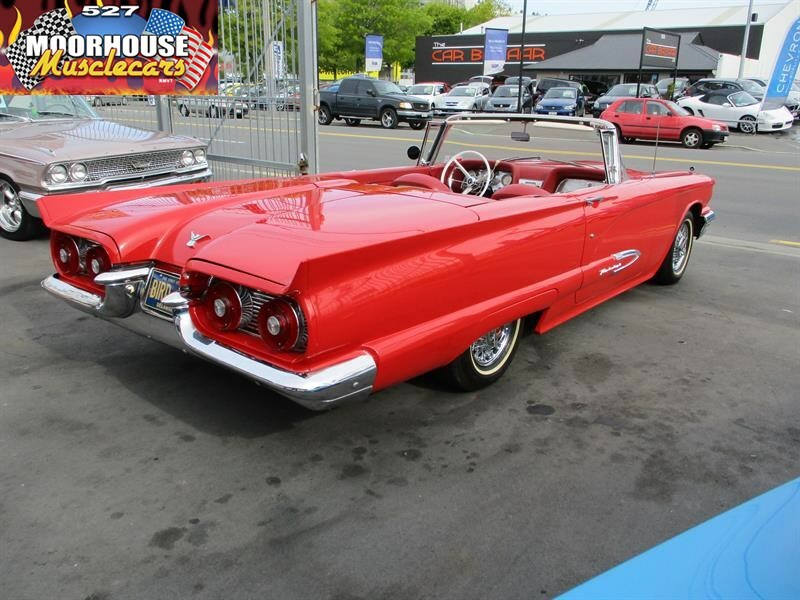 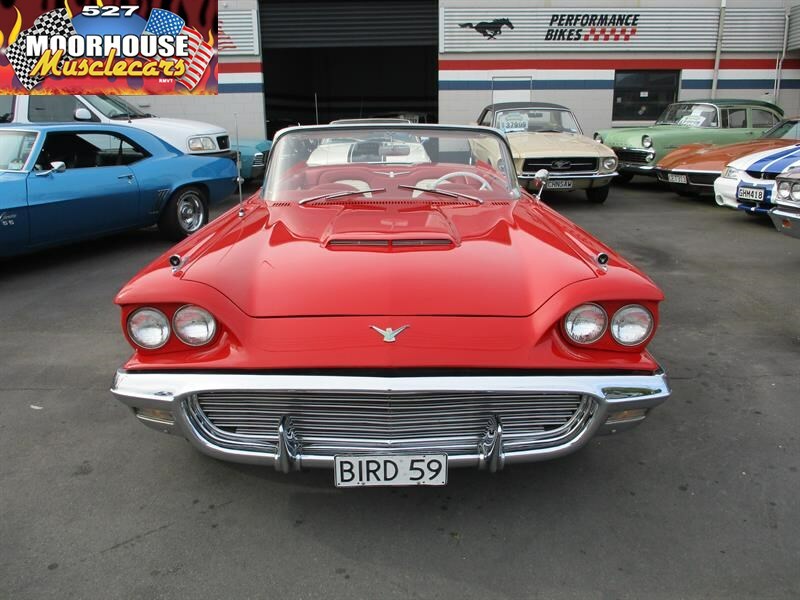 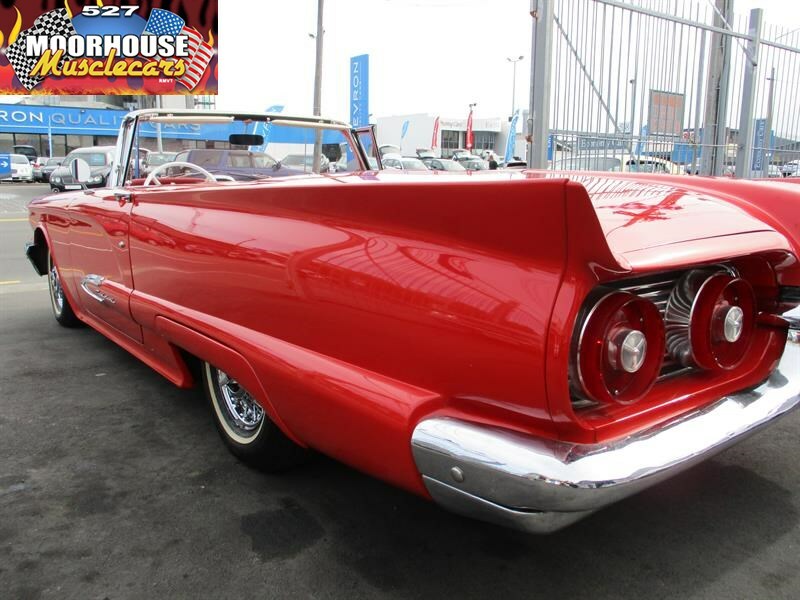 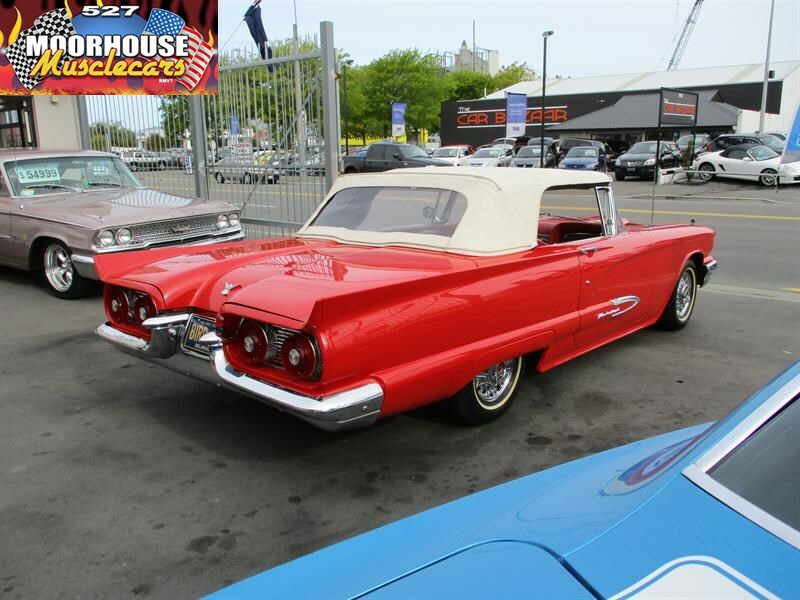 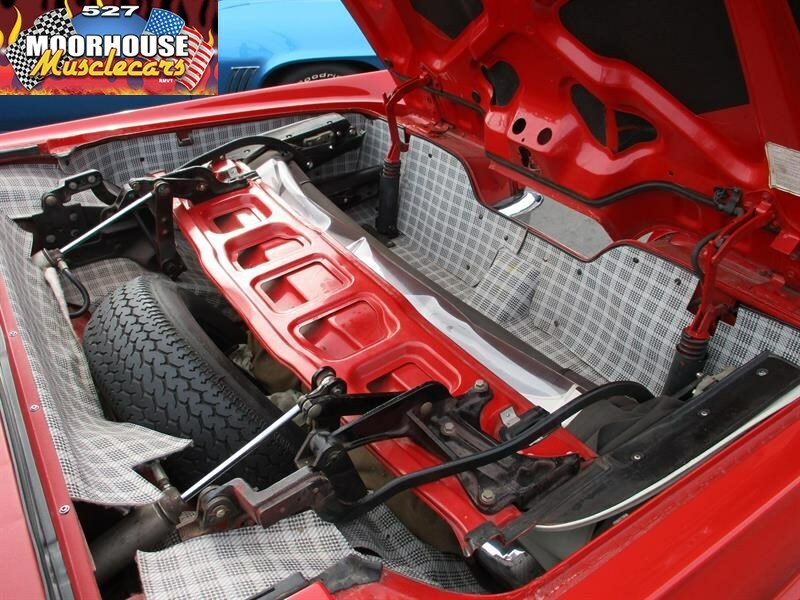 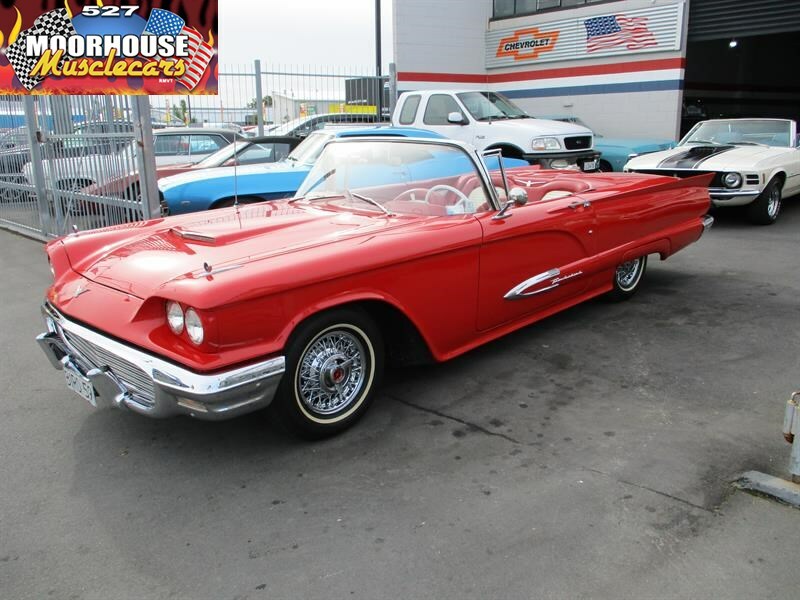 This classic Square Bird is investment quality, it has been very well restored, and drives accordingly, the cost involved in the restoration on one of these late Fifties T-Birds is incredibly expensive, and they are a very intricate in their design with a lot of man hours required to get everything just right, this example represents a very good buy at the asking price considering what would be involved in duplication such a car today, so if you have been looking for a very special car that will be a pleasure to own, and quite simply looks like it belonged to someone very famous back in the day, the search is over!